Blue Frontier have been providing a number of services to Dream Doors since 2010, including Search Engine Optimisation, Pay Per Click Management, Social Media, Content Creation, Web Design, Hosting and Graphic Design. 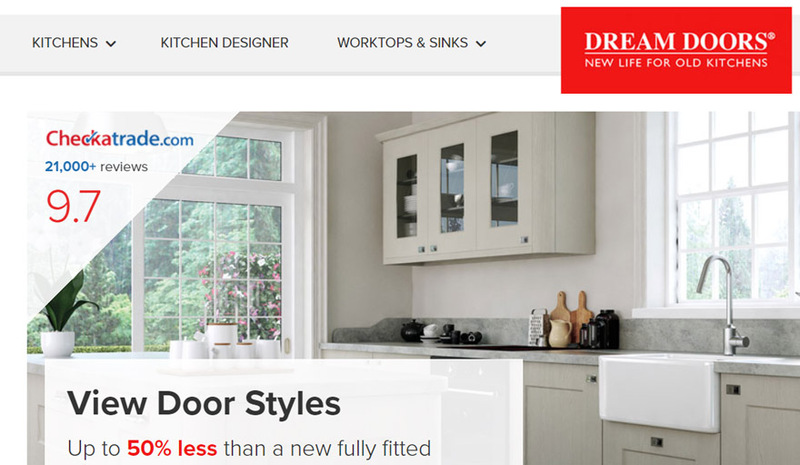 Dream Doors UK are one of the UK’s leading kitchen facelift companies with more than 80 franchise showrooms nationwide. Over the past 12 years, Dream Doors have become a recognised household name and have installed over 70,000 kitchens in homes across the UK. 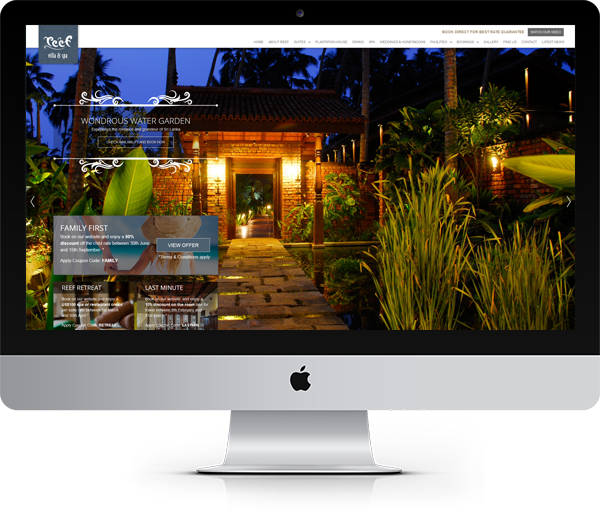 Blue Frontier was commissioned to design and build a brand new consumer website for Dream Doors with an emphasis on improving user experience and engagement. It was important for the new website to showcase Dream Doors’ products and services in a professional manner that reflected their brand. 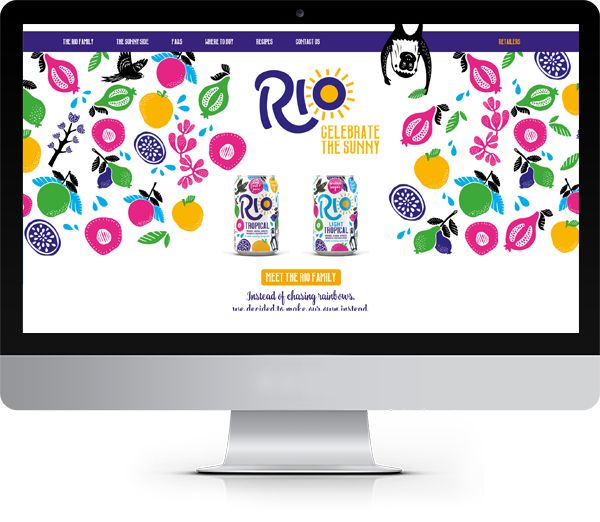 Our web design team carefully considered the customers’ journey and worked to produce a site with improved functionality to help reduce their bounce rate and increase the number of conversions. 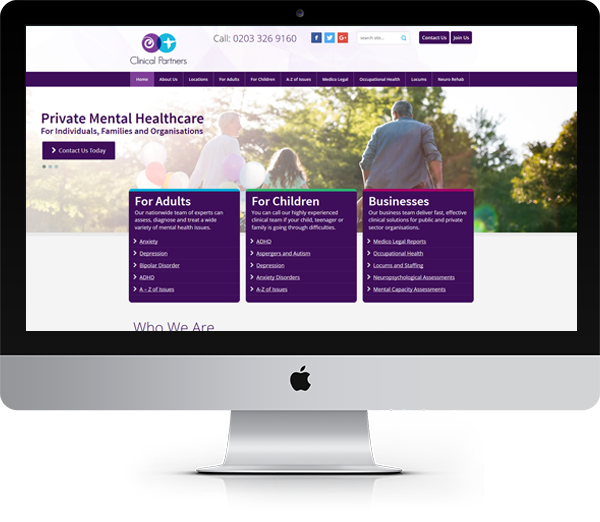 We consulted closely with Dream Doors to understand how users should engage with their website and produced a design with SEO in mind to help improve rankings and search visibility. Since the new website launch, we have continued to work closely with Dream Doors HQ to make regular updates and expand the site with a carefully devised content strategy. Blue Frontier were briefed to fully manage Dream Doors Pay Per Click account within Google Ads, this consisted of over 50 campaigns and hundreds of adgroups. Our target was to increase click through rates and conversions. Dream Doors already had a Google Ads account in place with campaigns and adgroups running. 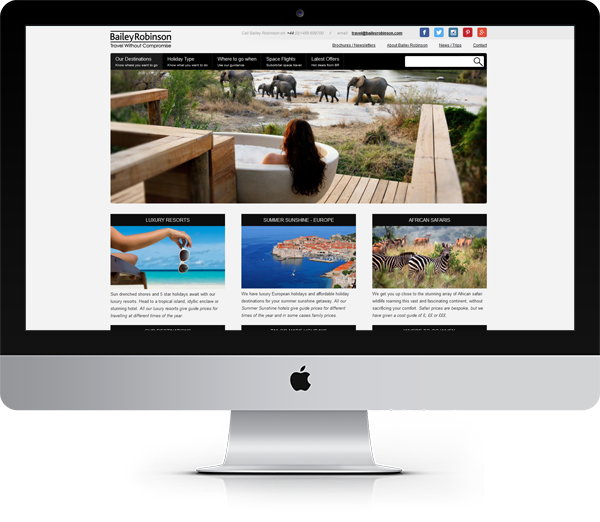 We opted to re-create all campaigns, adgroups, target keywords and adverts. We ran multiple adverts against each adgroup to split test and improve advert text. While we rebuilt all the campaigns we ensured each campaign only targeted within its region of the UK. With well managed weekly updates controlling bids, landing page improvements and negative keywords their Pay Per Click marketing channel is now their most successful lead generator. Dream Doors have a great internal team with whom we communicate well to ensure we are all driving the project forward efficiently and in unison. Dream Doors gave a brief to increase click-through rates and conversions, and increase website traffic and conversions. We devised an SEO strategy after completing an in-depth analysis of Dream Doors and their competitor’s, highlighting the key areas to improve, while optimising for search performance and user experience at all times. Our strategy includes continuously working on the website’s technical content, including alt tags, metadata and general site health, as well as creating new content. Content creation is a key aspect of a website’s SEO strategy so we conducted extensive keyword research to gain a knowledgeable insight into the Dream Doors audience. We devised a content plan based on our keyword research to produce engaging content that is optimised for search. 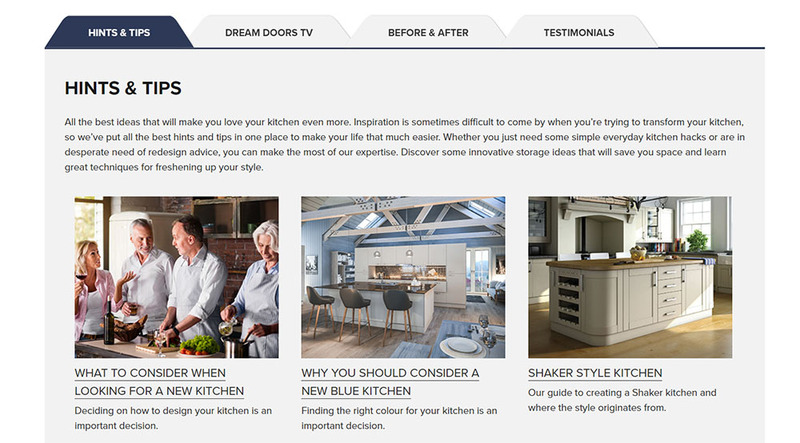 As part of Dream Doors’ ongoing strategy, we introduced a blog section to their website so new and engaging content can be added to their website regularly and posts can be written for keyword optimisation. Our Digital Marketing team have also worked closely with Dream Doors HQ to launch competitions to help boost brand awareness and increase user engagement. 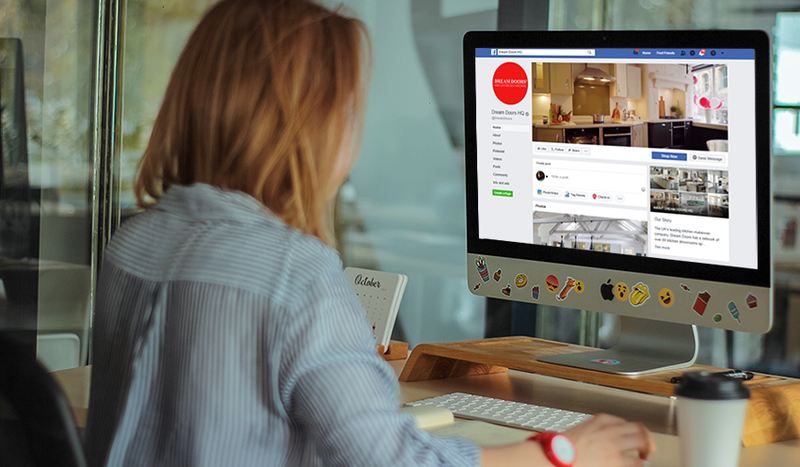 Another integral part of Dream Doors’ marketing strategy has been building their online brand awareness through their social media channels, driving user engagement. 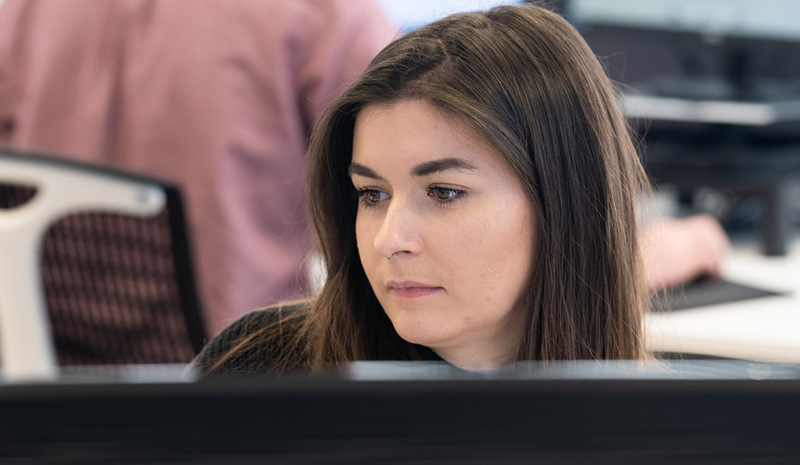 We were tasked to improve user engagement with Dream Doors social accounts and build a platform where users could interact on a customer service and sales enquiry level. As part of our ongoing social media strategy, we have been running paid campaigns to support other social media efforts and help improve user engagement. Since the start of our social media strategy, user engagement has continuously increased as well as brand awareness; we have taken Dream Doors’ Facebook account from 2,000 to 10,000 followers in less than 7 months. In September 2018, Dream Doors announced a record breaking month of sales, with reported figures of £4.2million. 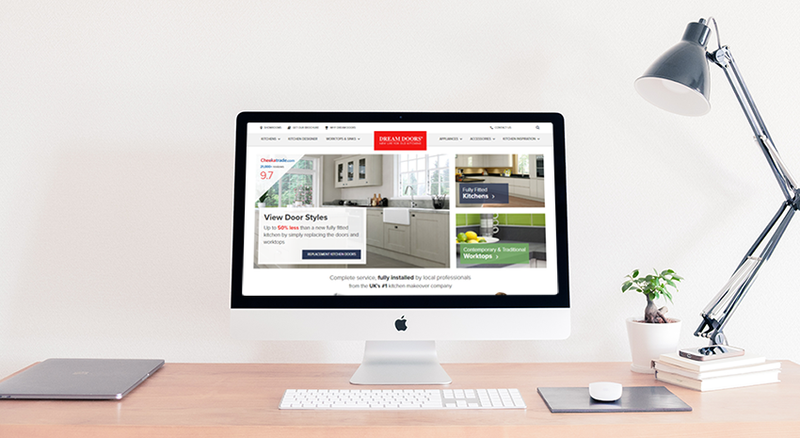 Their success saw another rise in October 2018 where the kitchen makeover company reported a staggering £4.4million worth of sale’s figures, making it the company’s best trading month in its 19-year history. During the month of October, the Dream Doors website received 91,630 hits, compared to 68,882 in October 2017, an increase of 33% in website traffic, beating all former traffic records. We managed to achieve all of the above by working closely with the internal Dream Doors marketing team, to ensure that our marketing strategy was always in-line with their goals, KPIs and most importantly, their brand.